The following video presents irrefutable evidence that an automatic weapon was fired from the 4th floor, not the 32nd floor, of the Mandalay Bay Resort and Casino as reported by law enforcement. This, of course, means that Stephen Paddock is an FBI-selected patsy. Hence, the official narrative already begins to fall apart within 24 hours of this complex criminal conspiracy. Like so many other staged mass casualty events, this [SHOCKING] shooting staged at the “country music concert in Las Vegas” was deliberate and multi-purposeful. Because of the immediate floating of a lone-wolf shooter, it’s clear that a patsy was pre-identified to take the rap. Las Vegas Shooting Framed As Lone Wolf With 20 Dead And 100 wounded! Though there were initial reports of multiple shooters and multiple incidents up and down the Strip, Clark County Sheriff Joe Lombardo said at a press conference held at 1:30 a.m. local time that it was believed that there was only one suspect. That man was killed on the 32nd floor of Mandalay Bay after officers responded to the shooting. Lombardo said that investigators are looking for the suspect’s roommate, an Asian woman named Marilou Danley. The crime scene hasn’t even been thoroughly investigated and the local county sheriff has already called this false flag mass shooting a lone-wolf operation! That, right there, is a dead giveaway. KEY POINT: Why was the stage in Vegas re-illuminated after it went dark which enabled the shooter(s) to see the crowd? (Video) WHO HAD THEIR HAND ON THAT LIGHT SWITCH? See for yourself in this indisputable video. There is also an increasing trend over the past couple of years whereby these BIG false flag operations are executed at night. The cover of darkness gives the real perps so much more opportunity to cover their tracks and manipulate the crime scene to fit their predetermined narrative. Things have not been going well for the globalists. Their New World Order agenda is in complete disarray. First, the NFL Kneelgate scandal has really back fired…so much so that the NWO ruling cabal has to change the national conversation. Nothing does that quicker than a mass casualty event (MCE). The NFL crashes and burns! Collapse of the celebrity culture now inevitable. This sudden reversal of fortune for the globalists was both embarrassing and unexpected which demanded an expeditious response … … … like a horrifying MCE in their view. There’s no question that the U.S. territory of Puerto Rico has been transformed into an unparalleled disaster area. The extent of the human catastrophe alone is still unknown because of the inability to get to many parts of the devastated island. Many are unaware that Puerto Rico has experienced 2 major superstorm hits: first from Hurricane Irma; then from Hurricane Maria– the first category 4 to hit the island since 1932. The key point is that the Trump administration’s response to Puerto Rico’s urgent needs has been evolving in the direction of a major political football. The Democrats, especially, are attempting to seize any political advantage they can in an effort to tarnish President Trump with his first “Katrina”. SOTN is writing an investigative report on the reality in Puerto Rico and the extent of the political subterfuge being used by the locals. The Democratic San Juan mayor seems to be a major player in these machinations, although a verdict on her official conduct cannot yet be rendered conclusively. 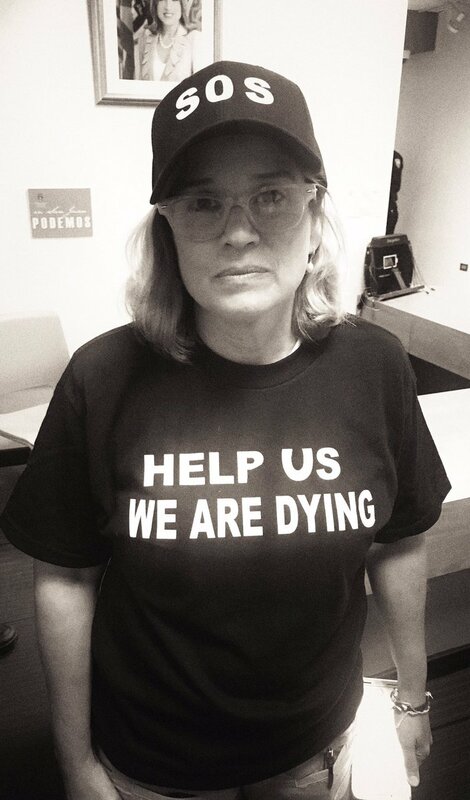 Is the San Juan Mayor blocking hurricane relief or are logistics in Puerto Rico really impossible? The bottom line here is that the globalists are clearly using the island Democrats to sabotage Trump’s relief effort. However, the Alt Media is catching some of the more obvious acts of subversion in real time. This is making the cabal’s plan to ruin Trump’s reputation as a compassionate nationalist quite difficult to execute. With each passing day, successive Trump’s tweetstorms expose this perfidious globalist scheme. Thus, the NWO cabal is compelled to rapidly change the conversation. This is where MCE events like Las Vegas get the job done faster than anything. Whenever the NWO cabal needs to abruptly change the Internet buzz about an historic happening, such as the overwhelming vote for independence in Catalonia, they reflexively do a terror attack somewhere in the world. The people of Catalonia really want out of the Kingdom of Spain, as it’s officially known. However, the Spanish Government is even more desperate to keep the Catalans in the nation for many reasons which are outside of the scope of this article. Those reasons, incidentally, border on a very serious existential crisis that this referendum only exacerbated, and greatly so! Therefore, it ought to be easy to understand why the globalists in Brussels had to change the spotlight that has been focused on Catalonia throughout their highly consequential and dramatic voting process. Not only was Madrid extremely heavy-handed in attempting to thwart a legitimate vote, they committed unheard crimes against the people which shocked Spain, Europe and the world-at-large. 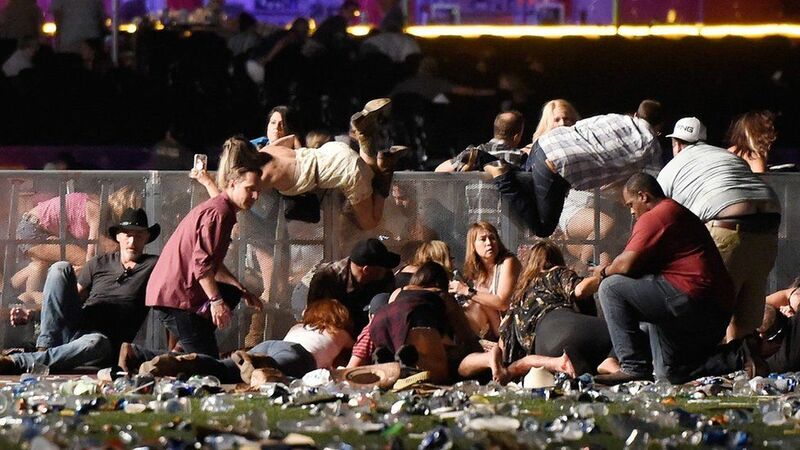 Why did they choose a country music concert in Vegas for their massacre? As always, the globalists want to take guns from every American citizen. An armed America is the single greatest obstacle toward the establishment of their planned One World Government. Even more concerning for the power elite is the absolute necessity of disarming the populace BEFORE the controlled demolition of the Global Economic and Financial System. They are well aware, given the raw truth routinely disseminated on the Internet, that the wealthy elites will be in the crosshairs of every patriot, nationalist and militiaman. Not only is the truth out there about the wholesale theft of America’s future by the NWO cabal, anyone who cares to find out exactly who is accountable for the multi-decade crime spree can simply surf the net. Of course, taking down a LOT of innocent country music fans who tend to be conservative and Christian, patriots and nationalists, Trumpsters and Tea Partiers, was an attempt to sway them toward gun control. The delusion of the globalist was that if the NRA members and hunters were so appalled by this incomparable slaughter perpetrated by multiple snipers in Vegas, they just might demand some form of substantial gun control legislation for their own protection. KEY POINT: What will always be remember about this Las Vegas shooting is the sound of rapid-fire rounds echoing throughout the concert venue. Every video on the Internet has captured that telltale staccato of automatic firing in front of the Mandalay Bay Hotel. Clearly, this aspect was planned by purposeful design so that Congress will immediately legislate for the removal of all similar assault weaponry and ammunition. The globalists have tried repeatedly to get militia-preferred weapons off the street for their own sake; they know we are coming for them…SOON! Then there is the intention to punish the ever-politically incorrect patriot movement. Bringing such deadly mayhem to a country music venue sends the unequivocal message that the perps can duplicate the unspeakable carnage anywhere, anytime they want to in similar music settings around the country. How do the FEDs get away with so many in-your-face attacks on the American people? These exceedingly violent MCEs have actually been made ‘legal’ by the most recent version of the NDAA (National Defense Authorization Act), that was aggressively pushed under Obama. The unending spate of mass shootings and bombings is a direct result of this fundamentally unconstitutional and unlawful federal statute. And hardly anyone knows about it! What the staged Charlottesville riots showed the country was that the shadow government completely controls both extremes of the American political spectrum, as well as much of the middle. The Steve Scalise shooting also demonstrated that the globalists will not hesitate to use left-wing nuts to take down real conservatives, even though there were likely more than one shooters at that ballpark. This stealthy MO by the real perps of this false flag op has got to be well understood if a full-scale war is to averted. TPTB own virtually every venue in the USA, as well as law enforcement wherever they carry out their PysOps. And this Vegas massacre is very much a calculated psyop designed to inflame the animosities between conservatives and liberals. Hence, the challenge is to call NWO perps out on their trademark duplicity and treachery. The shadow government has no loyalty to anyone or any political party. They will use their agents throughout Deep State to commit any crime necessary to consolidate their power over the U.S. government and We the People. End of story! Therefore, the victimized populace needs to scare those Deep State agent so much that they fear US more than their Illuminati overlords. As this Las Vegas PsyOp continues to unravel in the days ahead, other objectives will make themselves clear. The very fact that so many were apparently killed and wounded makes this a classic black operation conducted by the C.I.A. in close cooperation with the F.B.I. and local law enforcement. Whenever an MCE is analyzed so quickly as a lone-wolf mass murder, who could not possibly have shot so many people so swiftly, the U.S. Intelligence Community is obviously behind the whole charade. Does Deep State really expect US to believe that the “National Security State” is incapable of detecting such transparent acts of domestic terrorism? The following video makes clear that at least one person had definitive foreknowledge of this tragic mass shooting in Las Vegas. How did she know? What did she know? Who is she and where is she now? And why did the authorities usher her out so quickly? !